"Gardening is civil and social, but it wants the vigor and freedom of the forest and the outlaw." Orchid Shows Galore! Check the Calendars of Events for details! Looking for a taste of the tropics? Visit your nearest public garden with a greenhouse! Bus Trips! 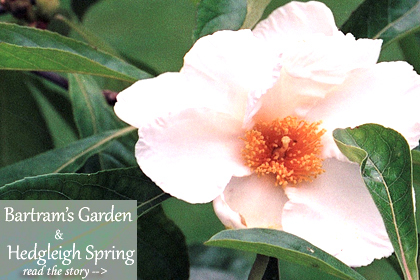 May 13: Bartram's Garden & a private Garden. June 25 & 26:The Pine Barrens. Explore its ecology and horticulture! More details coming soon for both trips! Hear what Ken Druse, plantsman, author, radio host, has to say about gardeners, writing, and his own passion for plants and gardens.